The sauce on this is really good. Topped with the seasoned ricotta, mozzarella, and pepperoni. Mmm! Heat olive oil on medium. Saute onion until soft, then add garlic and cook for one minute more. Lower the heat and add the whipping cream, cooking and stirring until slightly thickened. Remove from heat and stir in salt, pepper, and thyme. Mix ricotta, thyme, salt and pepper. Heat oven to 500F or as high as it will go. Oil a pizza pan and lay down the crust. Poke holes in it with a fork, so it doesn’t puff up too much. Spread the white sauce on the crust, then spread the ricotta mixture, and top with the mozzarella cheese. 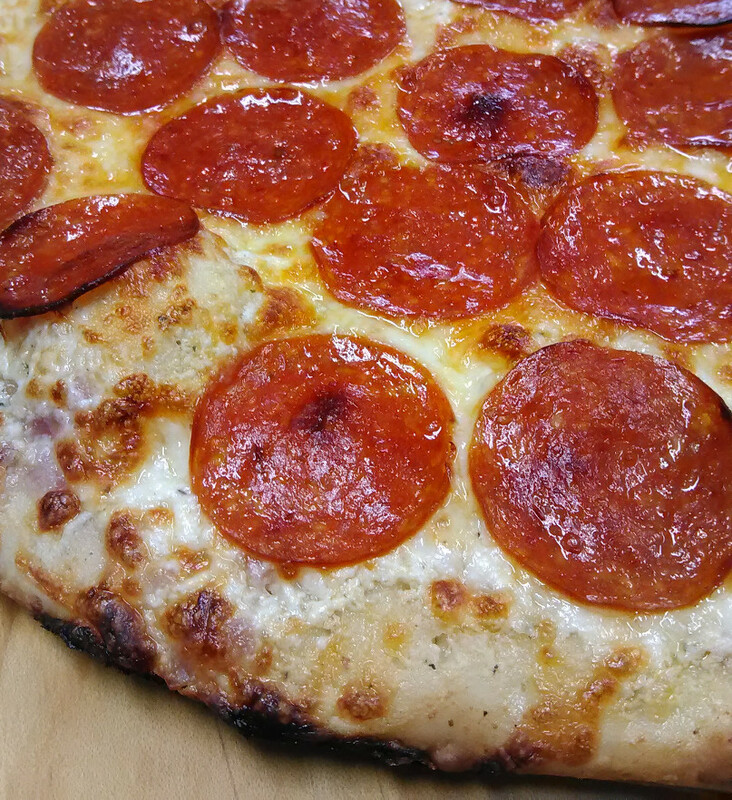 Add pepperoni or other toppings as desired. Cook for 8 minutes in the center of the oven. Check for bubbles, poking any that have popped up, then put under the broiler for a minute or two, until it’s as brown as you like. Let cool for about 5 minutes before slicing.